What Things Are Made Of: Bolivia: Lithium capital? I hope my April Fool’s Day post didn’t bother anyone! Today I thought I’d focus on one country: Bolivia. Bolivia has been in the news as the world’s largest supply of lithium, and increasing demand for lithium batteries in electric vehicles might mean the US will have to cozy up with a government that has not been exactly pro-US lately. But wait. Bolivia doesn’t produce any lithium; the world production leaders are Chile and Australia, each with about a third of the world’s lithium, and China in third place with about 18%. Chile has half the world’s reserves and China has another quarter. Bolivia isn’t even on the list of producers or those with reserves. What’s up? It’s the difference between resources and reserves. Reserves – what Chile and China have – are known, established deposits that can be mined economically with today’s technologies and at today’s prices. Resources are known, speculative, and possible deposits that might be producible sometime in the future. Huge lithium resources – a third of the world – are what Bolivia has (or may have). 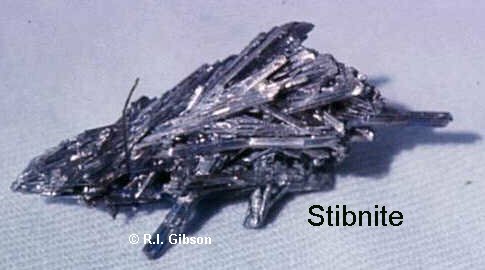 Bolivia also has 6% of the world’s tin, 6% of the silver, 4% of the zinc, 2.5% of the lead, 2% of the antimony, 2% of tungsten, 1.5% of boron. Of all those, zinc is most valuable to Bolivians, contributing around $680 million a year to the national economy, more than silver ($610 million) and tin ($260 million). But Bolivia’s most valuable commodity is natural gas, accounting for most of the $880 million attributable to fuels. The most important commodity imported by the US from Bolivia is tin. The US imports about 70% of its tin; the rest is not mined but is produced from recycled materials. Of 37,000 tons of tin imported by the US, 16% comes from Bolivia, placing it #2 as an import supplier after Peru, which supplies more than half the tin imported to the US. Electrical applications use more than a quarter of our tin, well ahead of the #2 use in cans and containers.